August, 1582. 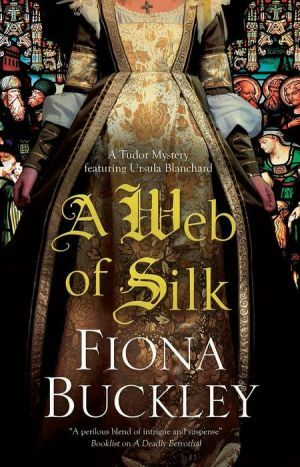 The queen’s spymaster, Sir Francis Walsingham, has ordered Ursula to keep an eye on her new neighbour, Giles Frost, who is rumoured to be spying for King Philip of Spain. Arriving at Knoll House on the pretext of teaching his two daughters embroidery, Ursula’s secret mission is to feed false information to Frost to pass on to the Spanish. Walsingham has assured Ursula that she’ll be in no danger. But events take a decidedly sinister turn when a body is found in the woods near Ursula’s home, a stained glass window is smashed and a bridal dowry is stolen. What secrets are contained within the Knoll House … and is Ursula being lured into a lethal trap?